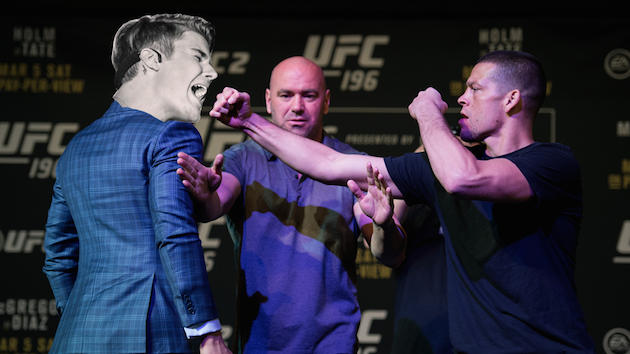 After disposing of Conor McGregor at UFC 196, Nate Diaz is now moving on to a new public feud—with pop singer Justin Bieber. Biebs called Diaz’s style “terrible” in an Instagram post over the weekend, which seemed to upset the fighter. “Biebers a hater,” Diaz wrote in the caption. Warning: This post contains graphic language. Bieber should let this one go—Nate is one dangerous dude.